BlogHome Probate, Wills How Do You Contest a Will in Virginia? In the Commonwealth of Virginia, only “interested parties” can contest a last will and testament. An interested party is any individual that has standing to challenge the estate and is usually someone who is entitled to receive property under the will. It could also be someone who has a legal right to part of the estate, such as a spouse or someone who would be entitled to property under the laws of intestacy if the will were invalidated. Simply being related to the decedent does not necessarily make you an interested party. Contesting a will is usually done to invalidate a portion or portions of a will presented at probate. But it can also be to introduce another will that is believed to be the last will and testament of the decedent. 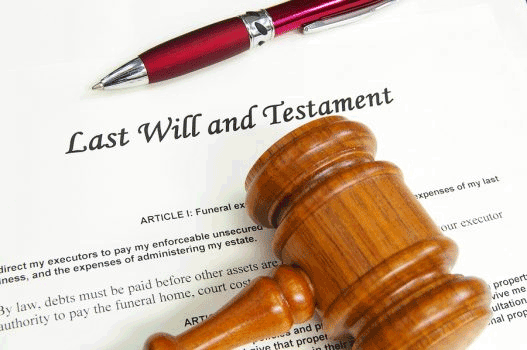 What Makes a Will Valid Under Virginia Law? Under Virginia law, the court honors only those wills considered valid. If there is a reason to believe that the decedent was not of sound mind or was pressured by others when drafting the document, or a suspicion of fraud, the heirs may challenge the will in court. You must create the will voluntarily, without any pressure, undue influence or fraud by others. If a last will and testament lacks any one of these requirements, the law may consider it invalid and you may contest, or challenge it in a legal proceeding. Contesting a will is a complicated and often lengthy process, so it’s important to consult with a knowledgeable and experienced Virginia estate planning attorney who can advise you on whether you have legal grounds for contesting the will and/or help you identify the ground(s) for challenging the will. Contesting a will in Virginia requires more than claiming that you were treated unfairly. In other words, you can’t challenge a will because you don’t like what it says. Most wills go through probate unchallenged. As a general rule, the courts are reluctant to interfere with the wishes of a person as reflected in a last will and testament. Unless challengers can establish undue influence, lack of testamentary capacity, or other legal issues to invalidate either the entire document or certain portions of it, the court tries to carry out the last wishes of the decedent. Proving fraud or the deceased’s lack of free will is very hard to do and usually results in a prolonged and costly legal battle. It may be easier to prove that the will was invalid for technical reasons, such as failure to sign the will, improper witnessing, failure to follow the statutory requirements for creating and executing a will under Virginia law, or because there is another valid will. Northern Virginia Trusts & Estates provides affordable estate planning services for Virginia families. Our firm understands the intricacies of estate planning and offers a range of services from simple, a la carte pricing for single items, to comprehensive offerings that cover a variety of preparations. For more information about contesting a will and our estate planning services, and packages, contact our office today at 703.938.3510 or visit our website: www.NorthernVirginiaTrustsAndEstates.com.